This time last year, LeBron James made TD Garden his playground. In Game 1 of the 2017 Eastern Conference finals, James scored 38 points on 14 for 24 shooting and led the Cleveland Cavaliers to a blowout victory in which they led by as many as 28 points and held the Boston Celtics to 39 in the first half. It was immediately clear that, as well-coached as the Celtics were, as entertaining as their 53-win season was, James and the Cavs presented matchup problems they were not equipped to solve. On Sunday, James returned to that arena to start another conference finals series. This time, Boston toyed with his Cavaliers. In a 108-83 victory, the Celtics held James to 15 points on 5 for 16 shooting with seven turnovers. They went on a 17-0 run in the first quarter and led by as many as 29 points. It was immediately clear that, while Boston is the underdog and Cleveland just swept the No. 1-seeded Toronto Raptors, the Celtics are a much more difficult matchup for James' team than they used to be. Last season, Boston started Isaiah Thomas, Avery Bradley and Jae Crowder. All three are short for their respective positions and, as hard as they played, they limited their team's defensive flexibility. Crowder had to be the primary defender on James, and the only way the Celtics could keep him out of the paint was to help off of the Cavs' shooters, surrendering open 3-pointers. Cleveland's offensive possessions in this series opener looked completely different -- the Celtics are now full of big, long, versatile defenders who have been preparing all season for this. It is not some kind of fluke that Boston finished first in defensive rating in the regular season. In Al Horford, coach Brad Stevens has an ideal leader on that end of the court, always in the right spots and communicating so his teammates are, too. Terry Rozier has good size and great length for a point guard, and he is not afraid of switching onto bigger players. Jaylen Brown, Jayson Tatum and Marcus Morris are not only strong 1-on-1 defenders, they are disciplined. The Celtics switch seamlessly, double-team with a purpose and make multiple efforts whenever they are necessary. Stevens elected to double James and Kevin Love at certain points in Game 1, even with shooters surrounding them. When the help came, it was aggressive, with high hands and the confidence that comes with knowing that your teammates will rotate properly. There was little confusion and or indecision, unlike what we saw from the Raptors in the second round. To say Boston is better this season simply because it is more versatile would be doing a disservice to the talent of its young forwards. Brown and Tatum have been producing like veterans all season, and all the talk about how special they could be in a few years distracts from the fact that they're playing like stars right now. Brown, who had 28 points on 9 for 16 shooting and eight rebounds in Game 1, was nowhere near this good last season. Tatum, whose 16-point performance snapped a seven-game streak of scoring 20 or more, is far more polished and poised in the playoffs than a rookie has any right to be. "Our young guys are special, man," Morris said. "They've been showing it all year. Me and Al, I know for sure that we don't expect anything less. I know you guys consider them as young players, which they are, but their mentality and the way they carry themselves is basically like veterans in this league. Like I said, they've been doing it all year, so we're not really surprised at whatever they do." The farther the Celtics go, the more praise will be heaped on Stevens. Indeed, his fingerprints were all over this win: They wanted to exploit the Cavaliers' lack of rim protection, and they scored 60 points in the paint. They wanted to make James work on defense, and Morris scored 21 points on 7 for 12 shooting. They picked on weaker defenders (hi, Jordan Clarkson! ), selectively pushed the pace and defended the 3-point line the way they did all year. Stevens surely wanted to do all this last year, though -- he just didn't have the right personnel to consistently take James and the Cavs out of their comfort zone. Not once on Sunday did Cleveland look like it had found a flow offensively. Boston was constantly challenging its ballhandlers, making smart switches and taking away driving lanes. The Cavs couldn't get easy buckets off of simple actions like they did against the Raptors, and they shot a miserable 36 percent, including 4 for 16 (15.4 percent) from 3-point range. Suddenly, their flaws -- not much playmaking outside of James, not enough two-way wings -- returned, and it looked like James needed to do everything for them to have a chance. 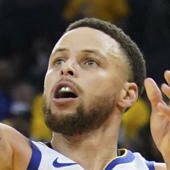 "They did a great job of communicating throughout the whole game," James said. "Knowing where I was, knowing where my teammates was. Brad and the coaching staff did a great job in Game 1. You commend that. We have an opportunity to look at a lot of film tomorrow and see ways they were making us uncomfortable, making myself off-balance and not have a rhythm all game. We'll be much better in Game 2." As James implied, none of this is to say that Boston has Cleveland's number. The Cavs lost their playoff opener against the Indiana Pacers in similarly ugly fashion. and wound up winning the series in seven games. James said that "Game 1 has always been a feel-out game for me, if you ever followed my history." This should, however, be a wake-up call: If they are going to get back to the NBA Finals, they are going to have to earn it. These Celtics, even without Kyrie Irving and Gordon Hayward, are tough, deep and cohesive. And they're playing like they know they can do this.